Rock Legends LUCIFER’S FRIEND To Release New Best Of Compilation Feat. Bonus Disc With Four New Tracks on April 6, 2015! London, UK – Rock legends Lucifer’s Friend have reformed in 2015, some 20+ years after they last played together. The band formed in 1970 with their influential and groundbreaking self-titled album, famous album among connoisseurs of 70’s hard rock. Its heavy and majestic overtones made it a pioneer release of progressive rock genre. 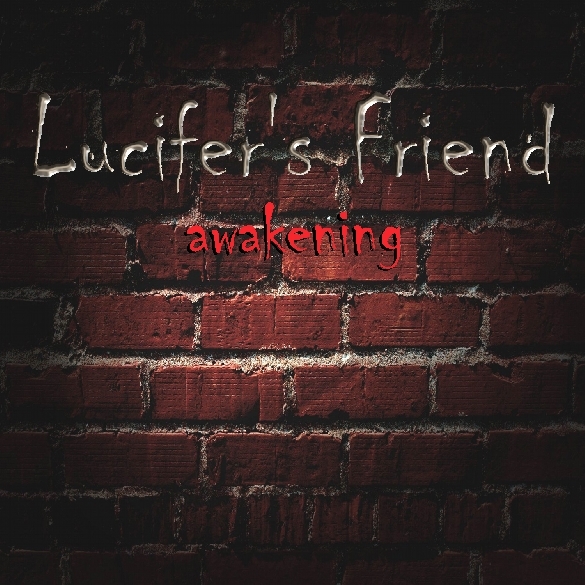 Lucifer’s Friend will be releasing a 10 track best of compilation titled ‘Awakening’, which also includes a bonus disc with four new songs, via Cherry Red Records on April 6, 2015. Lucifer’s Friend will be playing Sweden Rock Festival and the reformation is expected to be one of the most extraordinary highlights of 2015! The band is receiving a variety of offers from around the world and look forward to playing their classic tracks and new material to fans! This entry was posted on Thursday, April 23rd, 2015 at 23:57	and posted in Lucifer's Friend, Press Release. You can follow any responses to this entry through the RSS 2.0 feed.